The former president spoke at the close of the final meeting of the Clinton Global Initiative, an arm of the broader Clinton Foundation. The annual CGI gathering in New York has brought together an unusual blend of political leaders, philanthropists and celebrities, with participants expected to make specific commitments for projects around the world. This week’s event was held under a cloud of election year questions fueled by Donald Trump, who is locked in a close race against Hillary Clinton. The Republican has accused the Clintons of using their charity to enrich themselves and to give foundation donors greater access to Hillary Clinton as secretary of state. 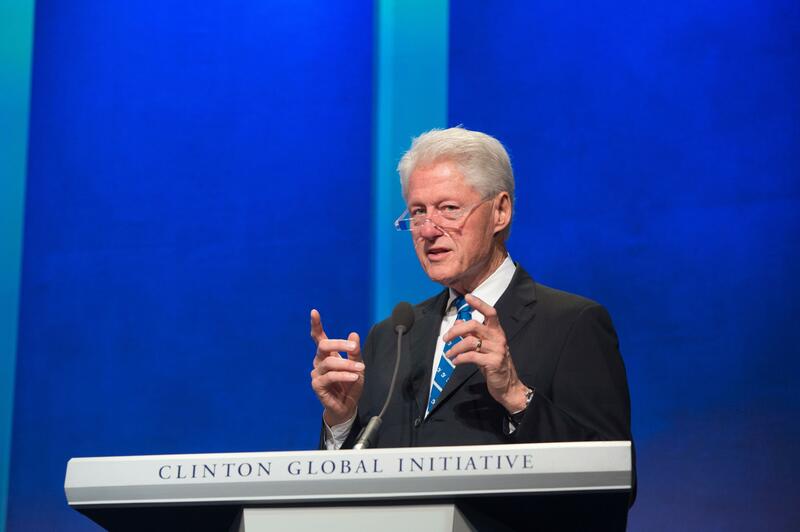 Bill Clinton did not directly address those accusations Wednesday, but aides said he viewed his hour-long address touting CGI’s work as an implicit rebuke to critics. He said the initiative had marked a “profound advance” in global philanthropic efforts and had helped 435 million people in 180 countries. Clinton spent much of his address recalling specific people who have been helped by CGI commitments, including making life-saving drugs more widely available and expanding access to clean drinking water. Clinton has pledged to step down from the foundation’s board if his wife is elected president, a decision he says is as painful as a root canal. He’s ending CGI regardless of the outcome of the election. The Associated Press found that more than half the people outside the government who met or spoke by telephone with Hillary Clinton while she was secretary of state had given money - either personally or through companies or groups - to the Clinton Foundation. The AP’s analysis focused on people with private interests and excluded her meetings or calls with U.S. federal employees or foreign government representatives. AP’s report was based on Clinton’s formal calendars and daily schedules, the latter of which covered only about half her tenure as secretary. The AP sued the State Department in federal court to obtain the detailed schedules, and the State Department so far has only released half of them. Trump’s own charitable foundation has also faced scrutiny. The Washington Post reported this week that Trump spent more than a quarter-million dollars from the foundation to settle lawsuits that involved his for-profit businesses.